• Rod ends with back end, have available left-hand or right-hand, male or female thread. 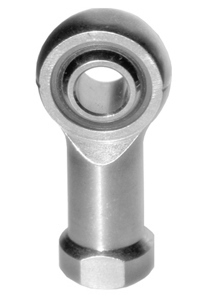 Also, rod ends without back end or other structure of rod end. • Rod ends can be metric or inch size series. Friction materials: steel on steel, steel on bronze or PTFE. 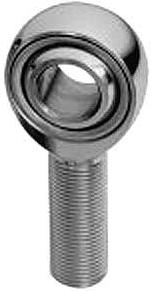 • Rod ends are capable of handling radial, axial or combined loads. They are self-centring, possibility to adjust ends in three different plane surfaces. • Rod ends are designed to connect the piston rod, hydraulic cylinder or other elements of the equipment with other parts of machine or mechanism. You can search by the code fragment, manufacturer, or diameters, then you will be provided with all possible options. Enter code of the rod ends ,code fragment,or manufacturer. Enter diameters and mark male (SI),or female (SA) threads,or only mark male (SI),or female (SA) threads. 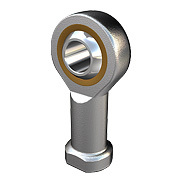 Rod ends are units that consist of a housing and a spherical plain bearing. They are available with right or left hand, male or female thread ..
We can supply various types of rod ends, both maintenance-free and requiring maintenance. In case you need a stainless steel rod end please contact us.